See the first trailer at next month's Tokyo Game Show. 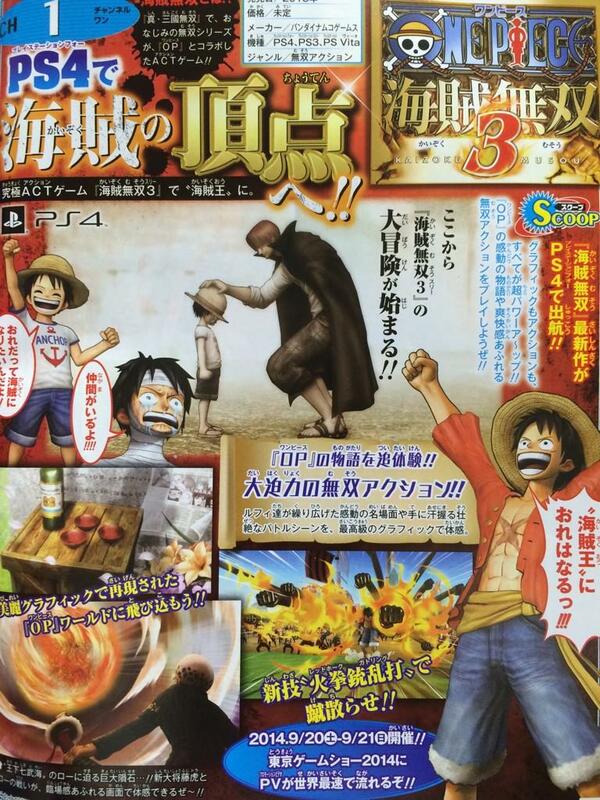 Bandai Namco and Koei Tecmo have announced One Piece: Pirate Warriors 3 for PlayStation 4, PlayStation 3, and PS Vita. The latest entry in the action game series, revealed in the latest issue of Jump, will offer enhanced graphics and action on PlayStation 4. A release date was not announced. The first trailer will debut during the Tokyo Game Show, which runs from September 18 to 21.